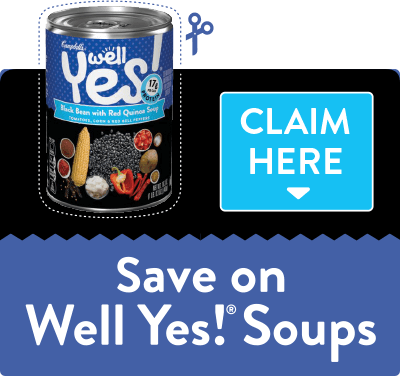 What is a Well Yes!® moment? Saying Yes! to making positive changes, whether big or small, that are meaningful in your life. "Begin each day with 15 minutes for me - exercising, eating a peaceful breakfast, reading, watching tv uninterrupted. Just me." "I say yes to showing appreciation for others when I drop off food every week to my local food pantry for those that are less fortunate." "I say yes to taking care of myself when I get my daily yoga/mediation. It really helps me with my stress and anxiety." "I exercise and encourage my family to do the same. We also try to make healthy food choices and to not stress about the small things." "I say "yes" to showing appreciation to others by sharing my baked treats to family and friends when I get into my baking mood." "I show appreciation of others by doing something special for them, taking them a special meal or dessert, mowing their lawn, or taking their kids to the park to give them a break." "I show appreciation for others by writing them a good old fashioned letter or short note! I believe they feel special when they know someone took the time to express their appreciation via a handwritten note." "I try to always look at the positive side of things! I try to teach my daughter be the same way. It has been a rough year , but looking at the positive side always makes it a little easier. Thanks." "I try to pay compliments to people and hope that it makes their day better." "I have a daily wellness idea that I create everyday. It can mean 1 hour raking leaves or a 30 minute dog walk in the afternoon." 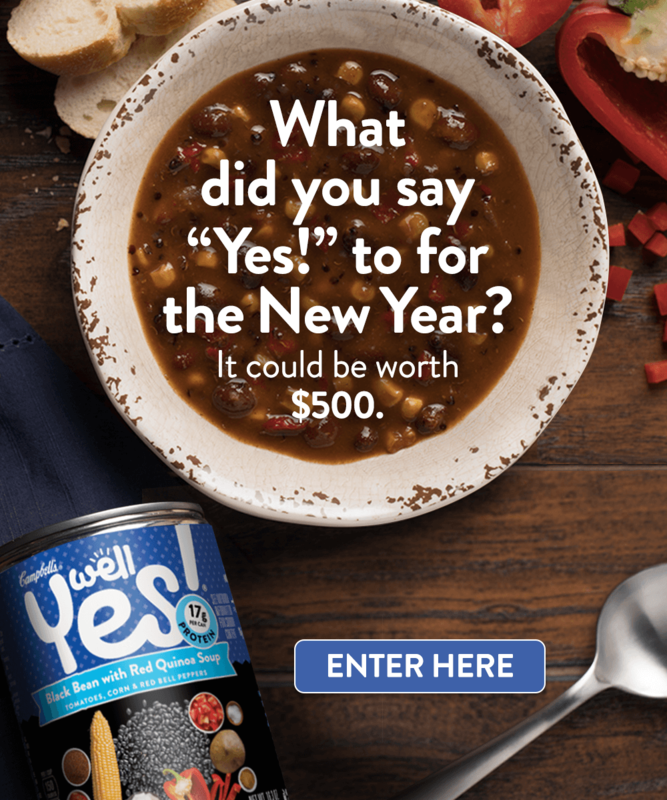 Say Well Yes!® to $500! Happy Healthy Home: 2018, The Year You Say Yes to YOUR Health! This site is sponsored by Campbell's® Well Yes!® however the opinions of the content providers are their own.